Calvin Ayre founder of the Bodog Brand has been indicted of two charges Conducting an Illegal gambling business and money laundering. 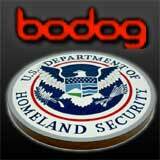 The recent development occurred shortly after Bodog.com was seized by the Department of Justice and Homeland Security Investigations. 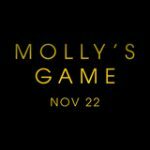 The company has been accused of processing more than $100 million in sportsbets to US players from 2006 - 2012. The Feds had undercover agents create Bodog accounts, deposit and cashout from Maryland, USA. Tip offs from an employee gave Feds further insight on how the business operated and who the directors of the company were. Calvin Ayre and three other Canadians were also indicted James Philip, David Ferguson and Derrick Maloney. 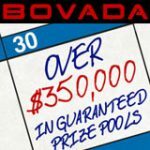 Calvin Ayre founded the Bodog brand in 1994 after selling all his possessions to get a $10,000 starting capital, within 10 years the brand grew offering online gambling sevices - bodogpoker, bodogcasino, bodogsports, racebook and bodogfight. Calvin Ayre retired from Bodog as a billionaire in 2008 to focus on his charity organization The Calvin Ayre Foundation which supports and funds worldwide issues like Environment, Education, Social Development, Child Welfare and Animal Welfare. 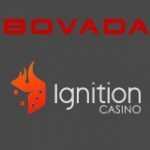 Bodog/Bovada spokesperson Rebecca Liggero has called the indictment baseless and said it is business as usual and Bovada will continue to offer it's services to their customers. “I see this as abuse of the US criminal justice system for the commercial gain of large US corporations. It is clear that the online gaming industry is legal under international law and in the case of these documents is it also clear that the rule of law was not allowed to slow down a rush to try to win the war of public opinion. 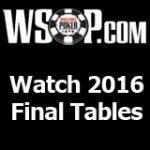 Bodog Indictment - Calvin Ayre, James Philip, David Ferguson and Derrick Maloney. The Everleaf Gaming Network were also targeted this month when Department of Homeland Security seized funds from one of the networks payment processors causing Everleaf Gaming Network to exit the US market. US players are very limited in choice for online poker, Merge Gaming Network still remains the biggest USA poker site offering it's services through poker rooms CarbonPoker and AcedPoker. 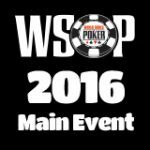 Other poker networks that still accept us players include Cake Poker and Bovada Poker.